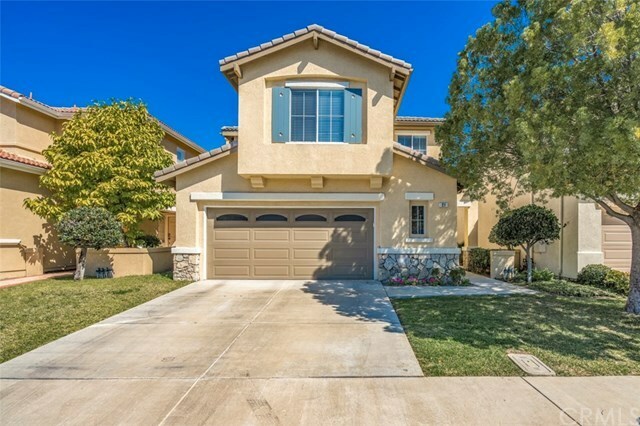 Beautiful 5 bedroom, 3 bathroom home in the desirable Harvard Square gated community in Irvine. This spacious 2239 square foot home has been lovingly maintained by the original owner. Some of the features include ample natural light, upgraded led dimmable lighting, an open floor plan, 1 bedroom and full bathroom downstairs as well as 4 bedrooms and 2 bathrooms upstairs. The master bedroom is very spacious and has an en-suite master bath with dual sinks, large tub, and shower as well as ample closet space. Great back yard for entertaining or relaxing with nice hardscape and landscaping including bougainvilleas, an orange tree, and more. The community amenities include a private park, pool, spa, basketball court, volleyball court, playground, and more.